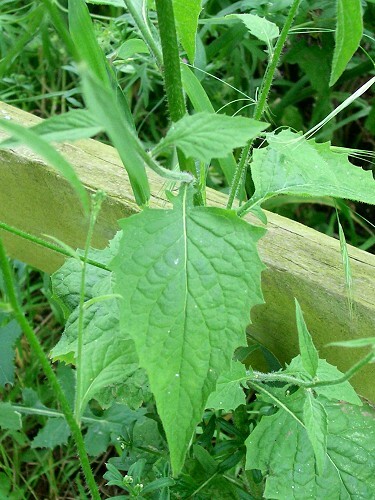 A common yellow weed which likes shady places and waste ground. The leaves are pointed and serrated and can be used as a vegetable when young. 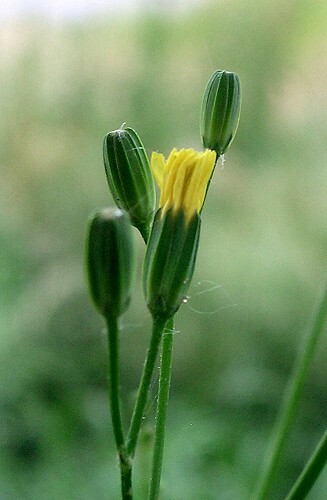 The lower stem is hairy and the upper stem is hairless. 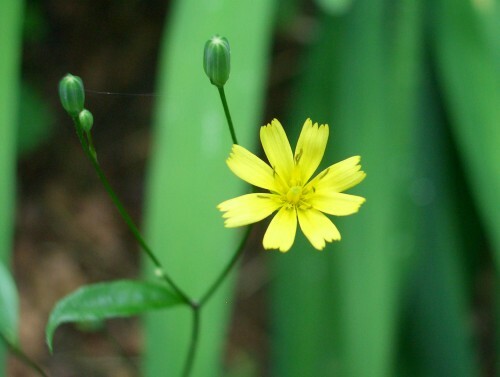 The flowerheads are small and sparse with serrated edges to the petals.